Lake Front Retreat is being updated. Two new bathroom being installed in April. Book this 3 bedroom 2 bathroom updated lake front townhome. The bedding type is one king, two queens and 2 twin beds. Lounge on one of the two decks and fish from your own swim/fishing dock. Al and I have lived in the Village for over 14 years and think it's the best kept secret. We spend our time here kayaking, golfing, playing pickleball and woodworking. Our adult children love to visit and take advantage of all the Village has to offer. Come and enjoy our wonderful resort community. This lake front townhouse has beautiful views on a quiet cove. Kayak from your lake front, sit on your patio with a beverage in the evening. Grill dinner and dine alfresco enjoying the wonderful weather and local wildlife all around you. The location is perfect only 5 minutes to the west gate (Hwy 7) for more restaurants and markets. This is a perfect family destination but if you decide to leave the children home grab your friends and head to Hot Springs Village. Your trip could include kayaking, spa visits, golf or even pickleball . If a girls weekend is needed enjoy all that Hot Springs offers (Spas). But it's not just for groups, take your best friend on a relaxing getaway you'll never forget. We look forward to seeing you soon. 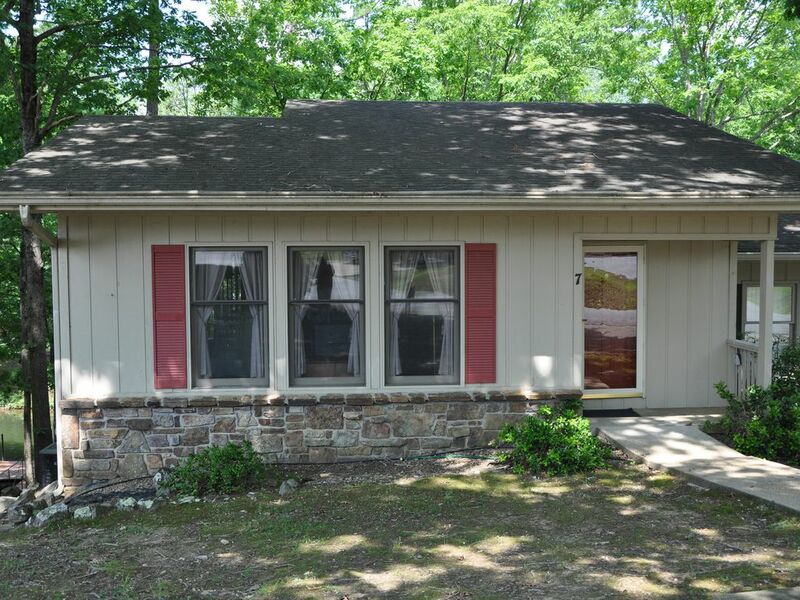 Located on Lake Desoto with your own swim fishing dock. We enjoyed our visit to Hot Springs Village and were impressed with the townhouse we chose for our stay. Very clean and nicely decorated. We would consider staying there again. Thank you Al and Debbie! We enjoyed the set up of this home. The property was really nice and clean. Area was quiet. Scenery was amazing. The owners provided us with everything we would need in case we forgot personal items. We enjoyed our stay and would definitely recommend this place to others. It was the perfect 3 day rental for us for a quick visit. Very clean and inviting. Very impressed with our visit to your home. You made sure we had everything needed to have a perfect home away from home. Thank you so much! We spent Thanksgiving in this beautiful home and loved every minute of it. The house lends itself well to family togetherness but also has the lower level for the teenagers to escape ;) The home has 2 decks that overlook the lake and provide some amazing views as well as extra space to entertain. Quiet neighborhood just 20 min from Hot Springs..will definitely stay again!! You will need to look at this web site to see all the activities in The Village.